The London Road campus is one of the University of Reading’s three UK campuses. 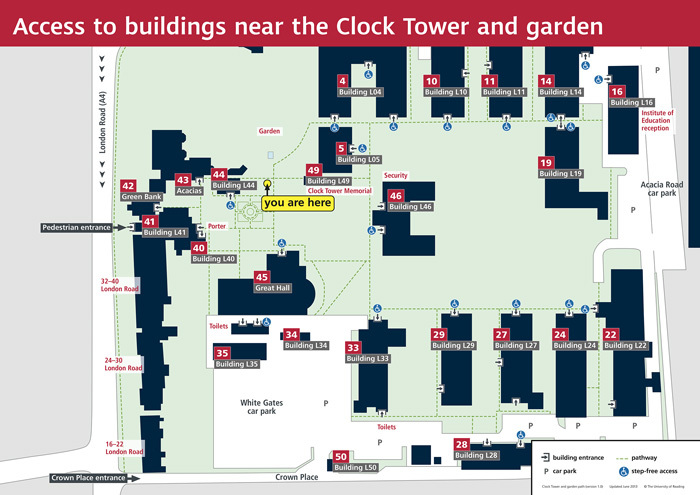 It has a quad, cloisters, mixed-use multiple occupancy buildings, gardens, a memorial clock tower and the University’s Great Hall (which is used for graduations and formal functions). 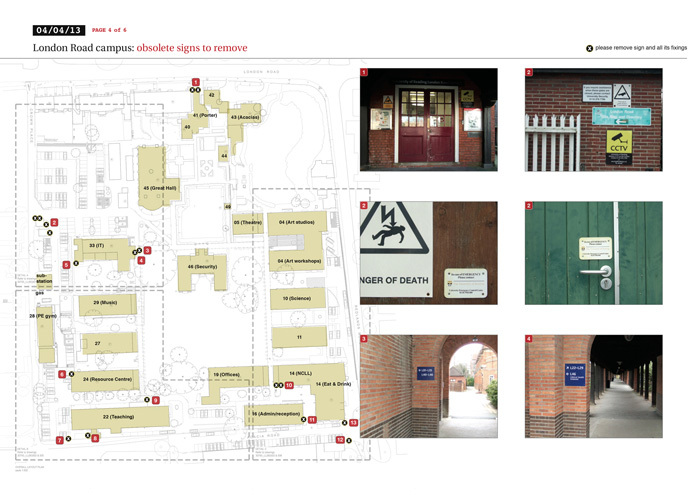 This was a two-phase project and the first major campus wayfinding review of the London Road campus in several years. 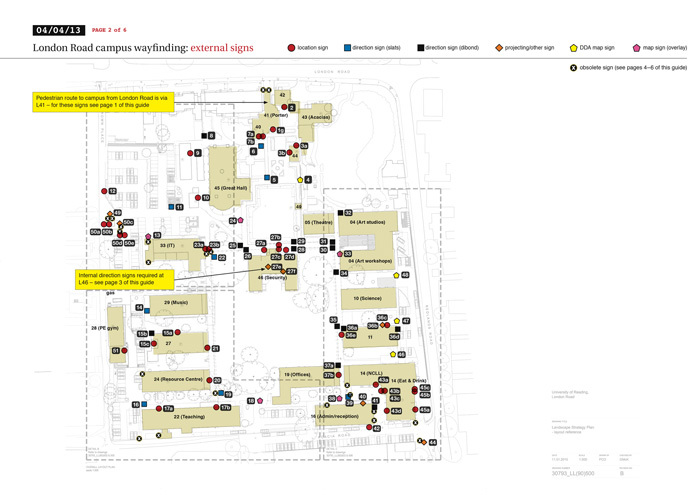 Discuss users and access routes then audit site and buildings to assess the types and amounts of external and internal signs required. 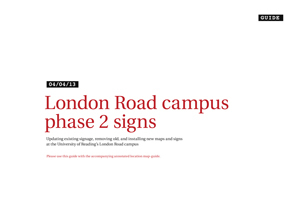 For external signs: propose ways to apply and modify wayfinding and signage principles from the University’s Whiteknights campus to the more compact London Road campus. 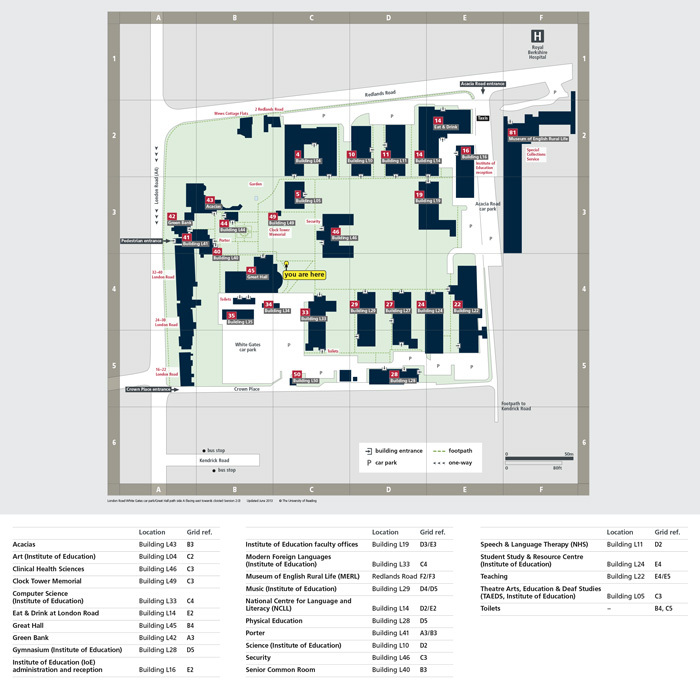 Provide specifications, supplier instructions and artwork for external maps and signs, and internal signs for several newly refurbished buildings. 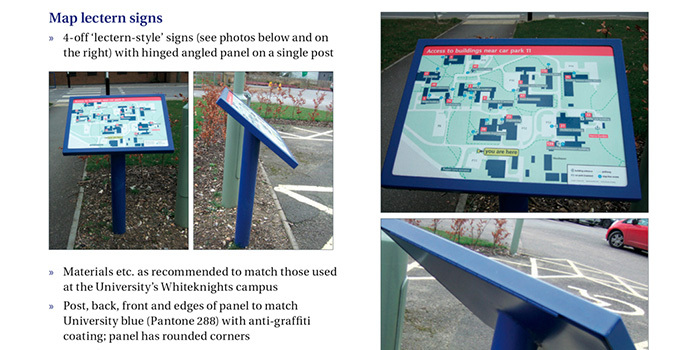 Oversee installation and signs removal and ensure project completion. 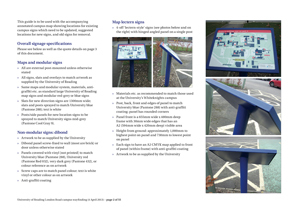 Wayfinding audit, research, writing, concepts, sign specifications, design and artwork. MS Word, Adobe InDesign, Illustrator and Photoshop. *Project started when I was a designer at design consultancy Text Matters.